The City of Murfreesboro considered its aquatic options for the next 25 years at the SportsCom Recreation and Aquatics Center. In 2004, Counsilman-Hunsaker conducted a Facility Audit which evaluated three bodies of water and their respective mechanical systems. Pleased with the results from the audit, the project went into design in 2009 and was completed in the summer of 2010. The facility includes new mechanical and chemical treatment systems for the indoor 25-yard lap pool, the replacement of the old tot pool with a 600 sq. ft. water sprayground with a variety of flush mounted sprays, and turned the existing outdoor 50-meter pool into a 14,000 sq. 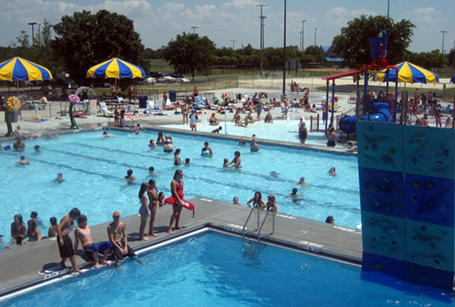 ft. recreation pool.